Worldwide, open badges are becoming a popular way for motivating and rewarding learners for acquired skills. These skills can be obtained in diverse contexts, e.g. through formal, non-formal and informal learning. These digital credentials are trustworthy and thus useful for job applications and education admission. The underlying infrastructure guarantees provenance and immutability. Many examples of successful implementation already exist, like the “badging” of MOOCS by the UK Open University, or that of their complete in-company training by IBM. Since the age/era of the analog world, badges are a visual representation of an accomplishment, skill, quality or interest. From Sheriffs, Boy or Girl Scouts, to PADI diving instructors. More recently badges in digital form are used to set goals, motivate behaviours and represent achievements in many computer games. This concept was an important element within “the gamification of learning”. 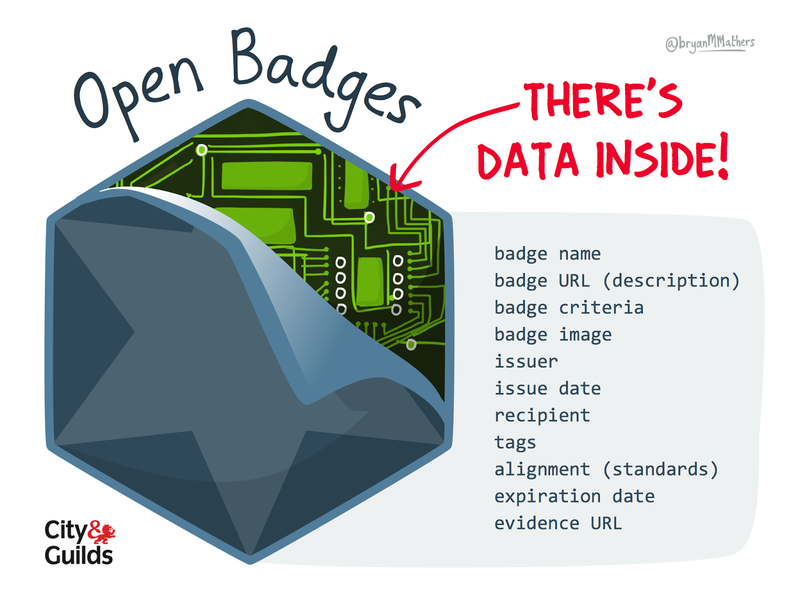 Open Badges take that concept of digital badges further. It is an open and non-commercial technical standard created by Mozilla, which allows for the creation of verifiable, portable digital badges. All the information (metadata) about skills and achievements, its recipient, the issuer, and any supporting evidence is irreversibly “baked” into a badge image file. Open Badges are shareable across the web, in online CVs or on social media. Open Badge is free and open technical standard. Any institution, business or community may issue badges to its employees, learners or members based on what they can do or what they have learned. For example, badges may be awarded for traditional achievements such as the completion of a course, the mastery of a particular language or for smaller achievements such as “being on time” or leaving helpful comments in an online learning environment. So the “size” of a badge may differ very much. Open Badges might be issued to recognise general (transversal) key competences, or to recognise specific job-oriented skills. Using existing competency standards, improves standardisation and thus recognisability of the badge. Next to that it is important to describe what criteria for earning the badge are tested. That might be an old fashioned examination, but also expert or peer evaluation. Issuing a badge is always connected with precise definition of the content for what it stands for and the way the criteria are evaluated. Together with the reputation of the issuing organisation, these are the foremost important factors to give value to a specific badge. Usually a badge is distributed by the issuer to the learner through email. The learner can opt to keep it there, but a better option is to upload it to an e-portfolio or a so-called “badge backpack” where it can be managed. The system is based on an open standard, so earners can group badges from different issuers to show the complete story of their achievements. From the backpack, the learner can share them for employment or further education purposes. Learners will share their on distinct moments (that can be plotted within the Compleap framework) during lifelong learning with “badge consumers” like guidance professionals, admission officers or HR-specialist when in training, starting education or during job application respectively.